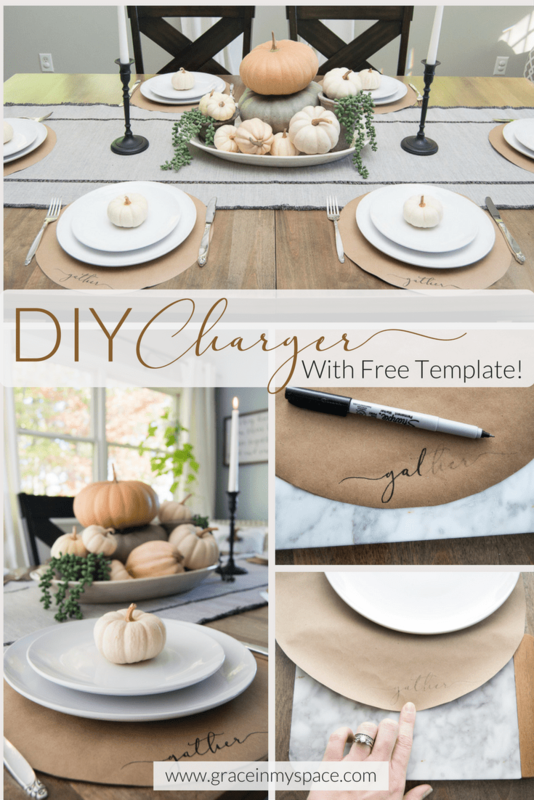 I’m excited to share a quick and easy DIY project with you all today in preparation for the upcoming Thanksgiving season! This year I am blessed to host Thanksgiving for my husband’s side of the family and since it is my first time hosting this holiday I want our table to be extra pretty. I am a simple kind of gal when it comes to tablescapes. In fact, I didn’t know that tablescape was a word until a little over a year ago. 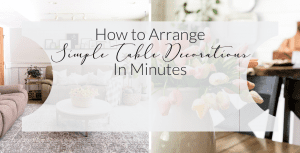 So that means that I needed to be creative to come up with a cheap and easy way to make our table settings pop since I don’t own the traditional table setting decor! 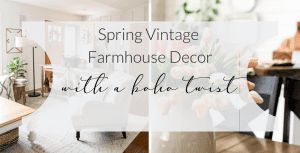 Many people would take this opportunity to go buy a bunch of things to dress up their table but I am not big on buying items that I will not use often. For example: cloth napkins. I have enough stained clothing to worry about without paying money for fabric that is meant to get dirty. 😉 Another example: chargers. I’ve always loved the look of chargers on a table setting. The extra layer and textures just feel more polished. However I will never use chargers in my day to day living and didn’t want to store 12 additional pieces in my already crowded cupboards. Queue the DIY project. 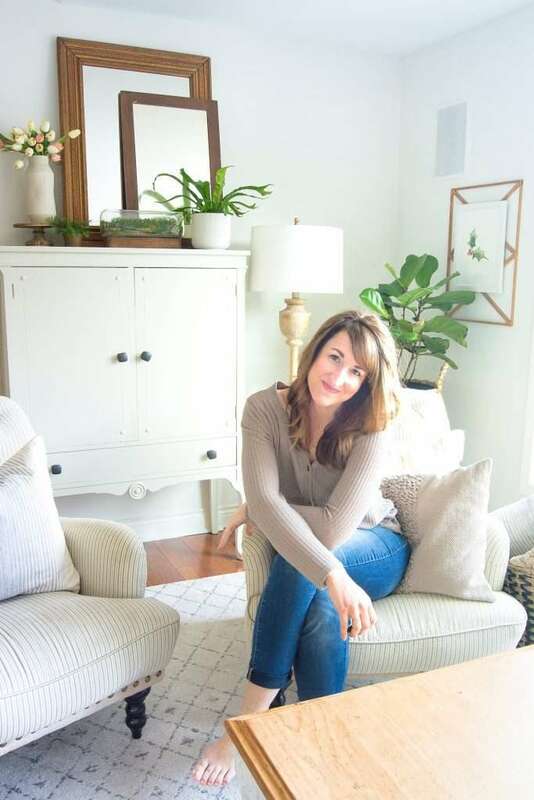 You guys this was the easiest DIY project I’ve ever done and I’m going to walk you through how to do it step by step. The best part is, you can make as many of these as you want! Whether you are hosting 30 or 3, I promise you won’t spend over $4 total. 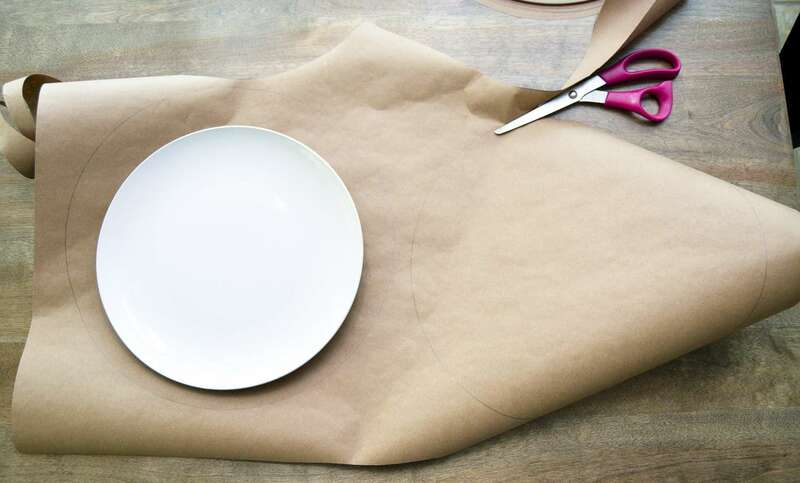 Lay out, weight, and flatten your kraft paper. The hardest part of this entire project was working with the tightly rolled paper that kept curling up onto itself. So you can learn from my mistake and solve this problem by flattening your kraft paper overnight (or for a couple hours) by weighing it down on a flat surface. 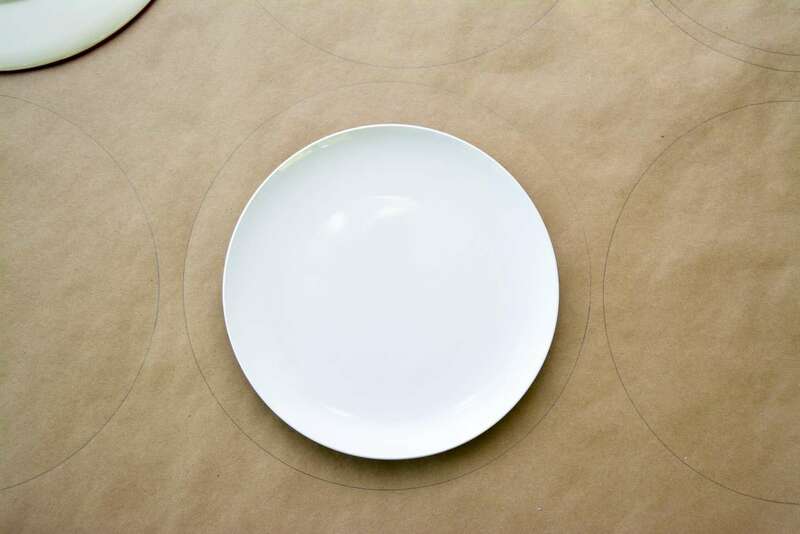 Find a bowl or round platter that is 2-3 inches larger than your plate. 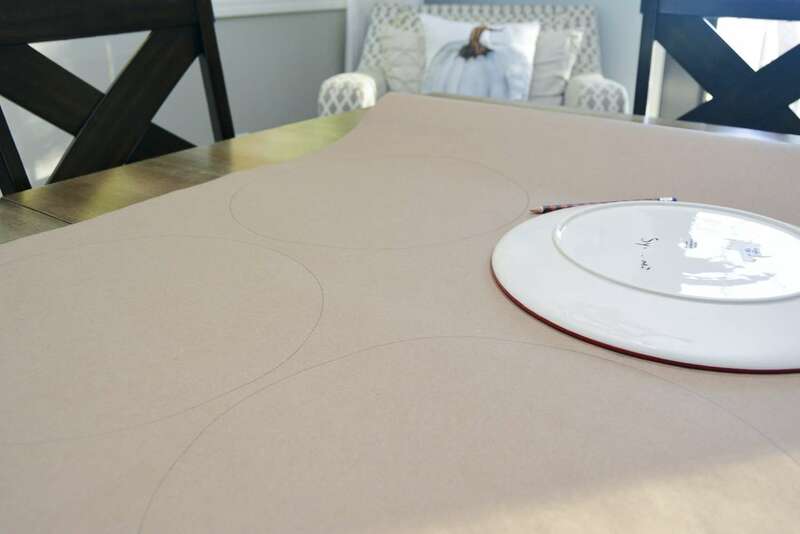 You will be tracing this platter so you want to make sure that when your dinner plate sits inside of the traced circle there is at least 1.5 inches of free space around your plate. 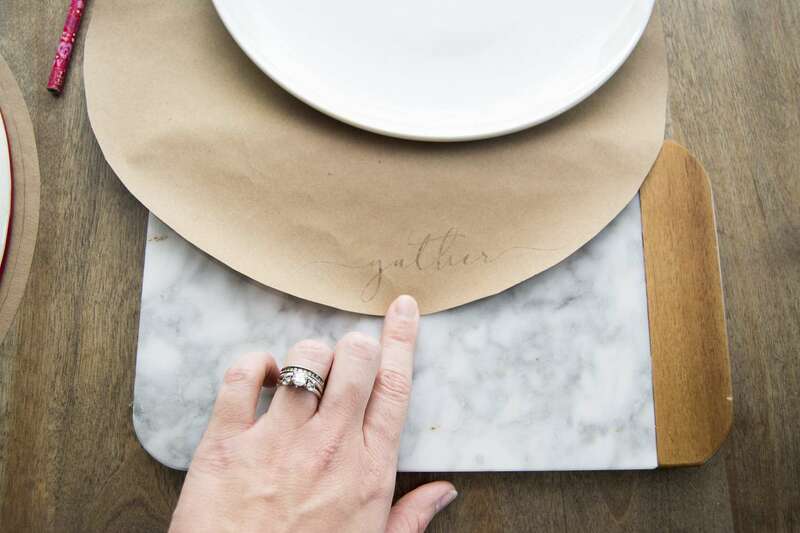 Trace circles around your platter for as many place settings as you need. I made 6. 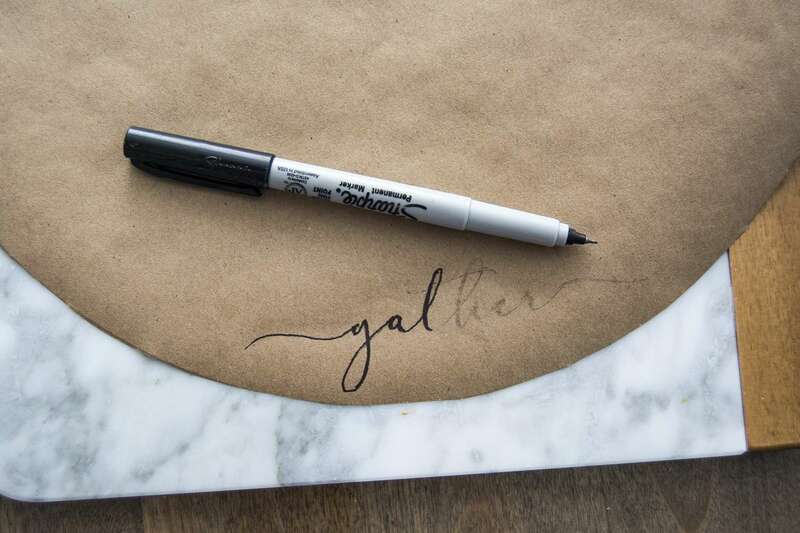 Tip: If your kraft paper has a backing with a grid then trace onto that side. This way, once it is cut out the pencil markings will be on the back and not visible when placed face up. This is your charger! Now to make it pretty. Head to your printer and print out as many templates as you need from my free Gather template. (To access this subscribe here and an email will be sent with instructions on how to download!) Each template will produce 5 chargers. When you print you MUST click “Flip Horizontally” in your printer settings so that the word is printed backwards. 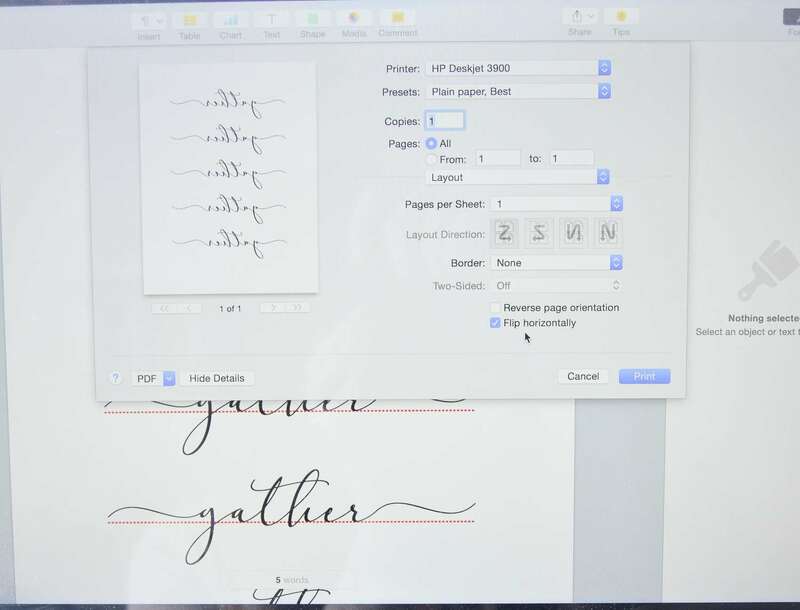 You can also make your own template using whatever fonts and word you prefer! 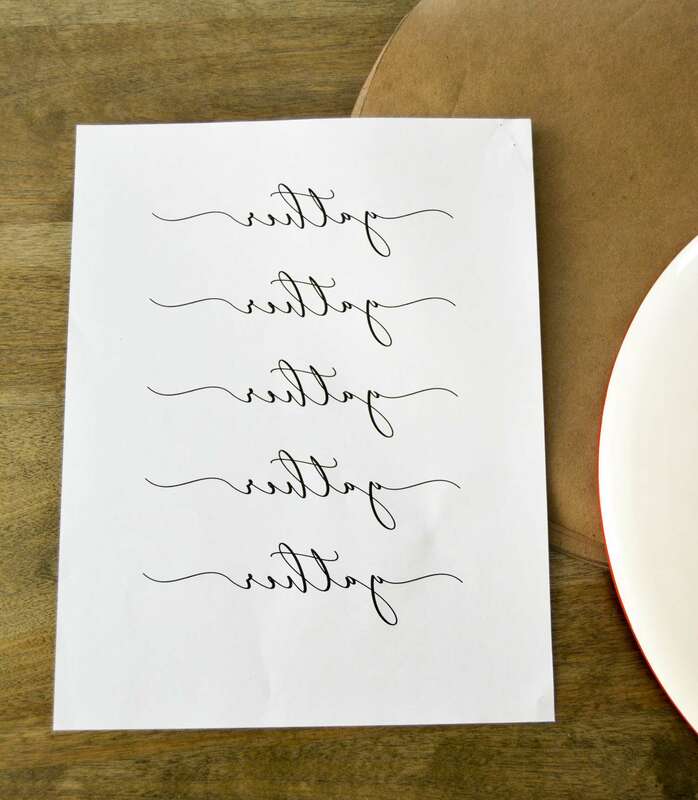 Cut out each word individually from the printed template and place it ink side down onto the spot where you want your word to appear on your charger. Remember! 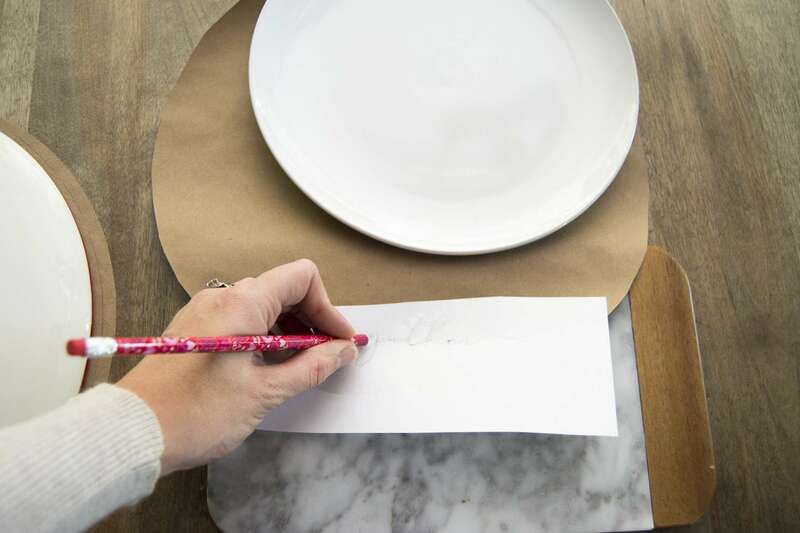 You will have a plate in the middle of your charger so make sure there is enough room to see the word once the plate is placed on top. 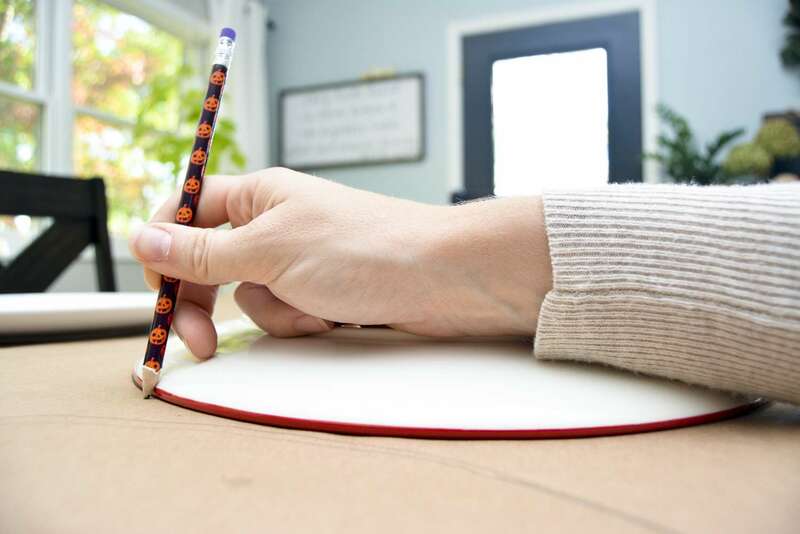 Take your unsharpened pencil and rub vigorously over all the areas where there is ink. This will displace the ink from the computer paper and onto your charger. You must press hard! Now that your template has been transferred, you have the option of leaving it light or filling it in to darken it. I wanted my words to pop off the page; therefore, I filled in Gather with black sharpie. This will take a steady hand so make sure you’ve eaten! 😉 And I highly recommend using a brand new sharpie so that the color is deep and doesn’t have streaks. Repeat steps 1-6 for each charger! Done! So what do you think? 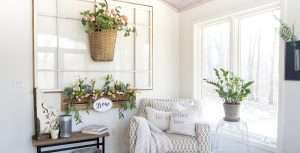 I’d love to hear how this DIY project goes for you if you decide to try it! Leave me a comment below! 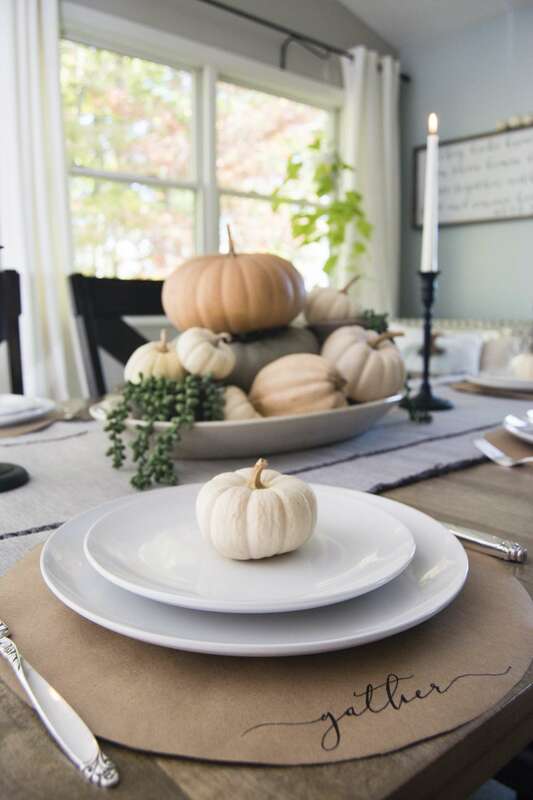 And up next, the full reveal of my Thanksgiving tablescape. Hi Sarah! I would love to print the gather page but every time I try it keeps taking me to subscribe and I already subscribe but there is no way around it. I even tried to keep subscribing each time. I verified my email, nothing will work. Any idea why? Hi Megan! After you’ve subscribed you should get a welcome email. 🙂 That will give you the link to go and download the gather template! I’ll email you more details.